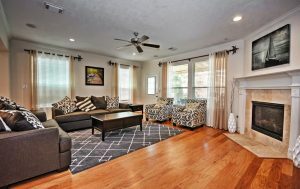 See what adventures await you at this 3-bed, 2-bath Houston townhome, with room for 10. 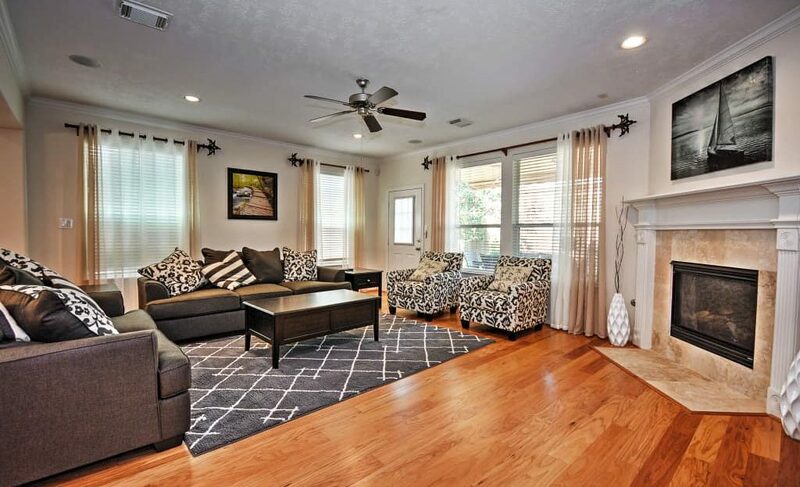 This home features a gas grill and WiFi and is within walking distance of several main attractions like Buffalo Bayou Park, Eleanor Tinsley Park, River Oaks Shopping Center, and award-winning restaurants. Upon entering, you’ll immediately notice why this home was recently named one of Houston’s most lucrative vacation rental homes by the Houston Chronicle! This townhome boasts rare qualities that others in the local area don’t such as private parking. With 2 stories, everyone in your group will be able to get a great glimpse of the surrounding area. Wake up in the morning with a workout at Fit Athletic Club before heading off to the day’s exciting activities. Spend lazy days outside under the deck’s motorized awning with a good book in hand. Look forward to lounging on the patio or in the living room and listening to your favorite artist through the built-in speakers. After your delectable meal has been devoured, retreat to the Master Bedroom’s soothing Jacuzzi tub before your restful night of sleep on the cloud-like bed.